Meet the State Senate candidate who is bucking Democratic Party Leadership to represent her constituents. Change has been brewing for the last few years due to the uprising of the progressive movement. A process plagued with challenges from long-established players threatened by the grassroots reformers forces Progressive Democrats to struggle for party support. This time, the party may have met its match in a woman from a small town running for Illinois State Senate. Heidi Henry is unapologetically Progressive and not afraid to take on her own party and anyone else who stands in the way of helping the people of her district. Meddling in primary races has become an all too familiar story. Efforts by leadership to tip the scales for hand-picked or cultivated candidates to prevent what they see as ‘insurgent’ disruptors from gaining power. During the 2018 Primary, many of these candidates were talking about it openly. The most notable example was the recorded conversation of Nancy Pelosi’s second in command, Steny Hoyer, asking Progressive congressional candidate (CO-06) Levi Tilleman to bow out of the race while admitting the party often manipulates candidates. The party’s pick, Jason Crow, is a partner at his law firm that specializes in lobbying activity, including anti gun restriction causes. In California, the focus was on a bizarre voicemail scandal involving wealthy congressional candidates Gil Cisneros and Andy Thorburn that grabbed headlines. The harassment of Emily’s List-backed candidate, pediatrician Mai Khanh Tran, by DCCC operatives did not get much coverage. Politico reported that Trans says the DCCC repeatedly asked her to drop from the race and consider her future, “political ambitions.” These conversations were so frequent and aggressive that Tran admits being moved to tears. But in Illinois, a state with a well-deserved reputation for political free-for-all, the Democratic party met its match in Heidi Henry. Henry lives in LaSalle County, about an hour south of Aurora, in a rural community. 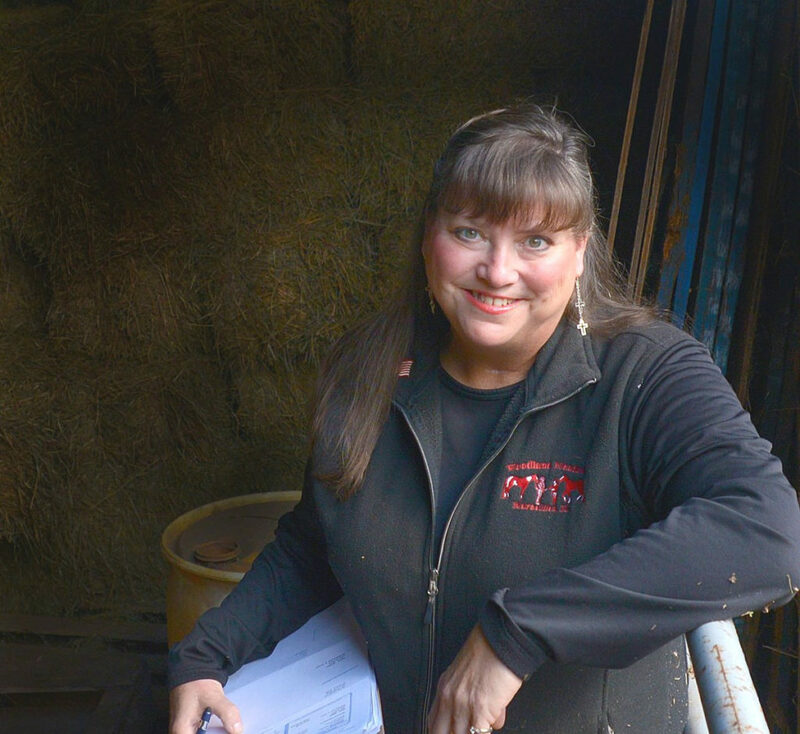 She runs a horse farm with nationally acclaimed results. She is also an accomplished business woman, mother, and devoted wife, as well as a passionate advocate for the causes she believes in. In short, she is the perfect example of the candidate who represents the people of her district and precisely what the Democratic party needs in this moment. Unfortunately, party leadership came to a very different conclusion, but not until well after she accepted their invitation to run. Heidi Henry first stepped up to run as a State Representative, not a Senator. She was asked to step aside in favor of Lance Yednock, a handpicked candidate of the Operators Union Local 150 for the Illinois’ 76th District race. The advice Henry received was that she would be “destroyed” if I she opted to stay in the Illinois Representative race. Henry is no stranger to building consensus after leading candidate recruitment and development for several Indivisible groups in two counties, groups that she help create in the beginning. Henry’s focus was on healthcare reform and flipping seats. It was during this time that she got the call from Illinois State Senate President, John Cullerton. Cullerton wanted Henry to run for the 38th District Senate seat and asked to meet with her in person. Henry took a moment to share her story with me between helping her daughter get ready for a school event and answering campaign emails. “I was skeptical, I mean…I didn’t know what to expect and had my doubts,” she told me when we spoke. To allay her concerns, Henry gathered an entourage of local country party leaders, all seven county chairs, to join her and offer advice to make the right decision. Henry says it was at this coffee shop meeting that Cullerton assured her of the full backing of the party, including $800,000 in funding, two offices with staff, and campaign manager and thirteen smailers to be sent out by the party in the last remaining weeks of the campaign. She said the mailiers themselves could not be approved by her beforehand, but would talk about the incumbent’s plans to retire after winning the election. 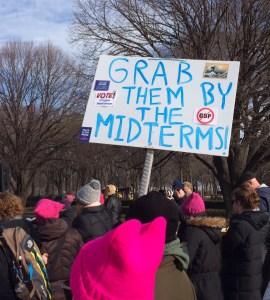 Ottawa, IL Indivisible rally, 2018. Henry’s district is a “pivot”county and ripe for a win by Democrats. These are districts that heavily supported Obama for both presidential elections, but flipped for Trump in the general election. Her county also heavily supported Senator Sanders in the 2016 Primary as yet another area with a populace yearning for change and struggling under economic challenges. Henry has a son with chronic health concerns, that were often so dire, the family had to make a choice to save his life and follow doctor’s orders or listen to the insurance company. They decided to incur the debt, continue treatments, and make payments on the medical expenses. “The party told me not to worry, that my story was like so many other families and would not be an issue,” Henry said. In fact, her story is featured on her campaign website, for all to see. Henry says that having her story out in the open has helped others share similar experiences with her and fears that every parent has, regardless of which side of the aisle they are on politically. A short time later, Henry says the bottom fell out. Henry says that call only made things worse. If Henry agreed to drop out of the race, she knew it would be handing a victory to the incumbent for yet another term. It was also widely suspected that the incumbent planned to win the election, resign, and hand the seat to another Republican in the same way she had been appointed in 2010. Henry knew that it was a bait-and-switch tactic that meant her neighbors would have no say whatsoever in who was representing them. Besides, she had already been canvassing her district speaking to neighbors who offered their enthusiastic support, many sharing concerns about keeping things as they are. She also knew that the current Senator was widely criticised for spending more and more time out-of-state at her family’s vacation home. “I felt like something wasn’t adding up, like there was something he wasn’t telling me,” Henry explained. Henry recalls ending the conversation abruptly and telling Cullerton to give the polling money to another candidate, but she wasn’t about to quit. Besides running a business and caring for her family, Henry has been out canvassing and listening to neighbors every day. She has earned support from local volunteers and from Indivisible and Our Revolution groups, like the Will County Progressives who endorsed her and worked to secure national endorsements. Local residents were on her side, even as her own party was not. Afterward, Henry found out that her union had also decided to support her Republican opponent. Despite Henry’s husband’s IBEW membership as a union family and their endorsement in the Primary, she believes the building trades leadership opted to court her opponent for a key vote on a controversial project in Will County. The union announced their endorsement of the incumbent the day after that vote. “You’ve really got to wonder how that all came about,” said Henry. Undeterred, Henry went to the Building Trades Committee herself with solid facts and spoke about their own voting chart and the incumbent to highlight the lack of support her opponent had provided to unions, highlighting those votes against union families for years and the rare few supportive votes that occurred when union endorsements were due, every election cycle. The union representatives refused to budge. Will and Grundy County Building Trades had just rescinded an endorsement of County Board Candidate Joe VanDuyne after he met with the board to announce his decision to side with the voters of his county, including union families, opposed to the controversial Northpoint expansion project. Residents opposed to the project have organized against Northpoint Development over what they believe are significant environmental and health concerns already present at the site. Heidi Henry pictured at her farm, courtesy of her campaign, 2018. The union is backing Republicans across the area over a very controversial building project that residents do not want and even sued to try to stop. Residents say it poses a greater safety and health risk, to both union and non-union households in the area. 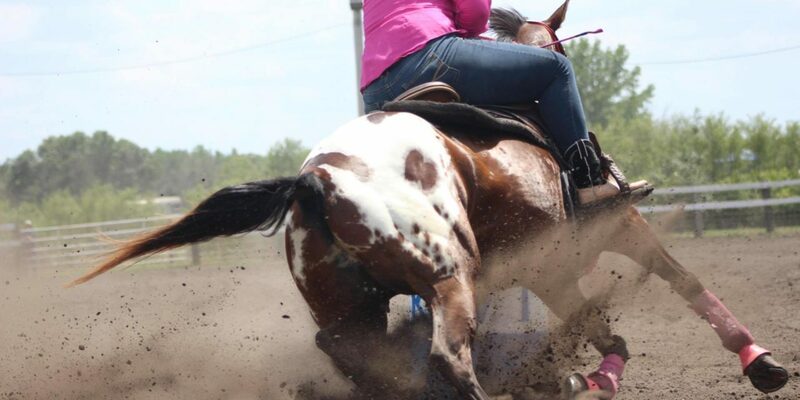 It is exactly this kind of grit and determination that spurs Henry on, juggling campaign events and family while running on her own business. Driven by the needs of her district and the idea that, with more Senate seats held by Democrats, Henry’s election can help reform school funding and stop the crushing burden of property taxes, both ideas that have not seriously been possible without a supermajority in place. Henry is fully aware that the status quo is just not working for people across her district. This is why she says continues to run her race, with or without the state Democratic Party backing her. Henry is asking for help from Progressives throughout the state and across the country. She is confident is with where her campaign is now and needs to print more campaign cards to use while canvassing. To help her, secure contributions can be managed through Act Blue at https://secure.actblue.com/donate/elect-heidi. Several attempts were made to reach John Cullerton for comment, but were unsuccessful and a call to Steve Campbell of the Illinois Senate Victory Fund was not returned.